Following is a free Printable Weekly Schedule Template which you can will in with your regular weekly schedule and print. You can color code the tasks to make the schedule easier to read. 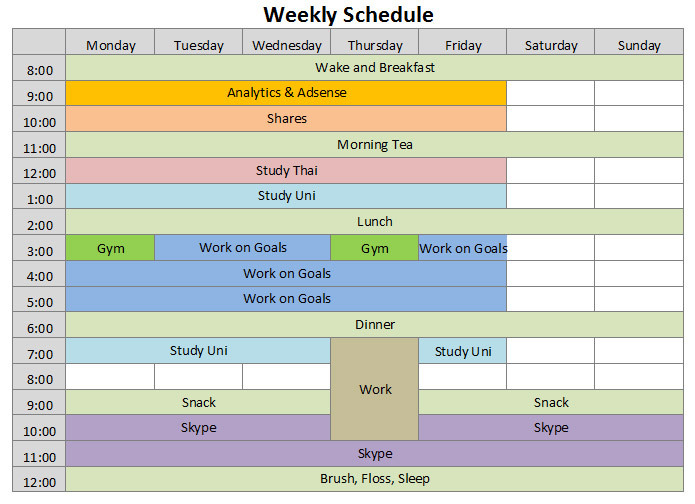 The Weekly Schedule Template is provided in .xls (Microsoft Excel) format. A schedule can help you to do the tasks that you know you should do. If you usually have an unstructured day and don’t achieve what you want to, then start following a weekly schedule. Now Download the template now and get started.